Welcome back to Penny University! In the week since our launch we have had a great response, with visitors coming to the site from every continent, except Antarctica! [Come on Antarctica, where’s the love?] We really appreciate everyone who has taken the time to read the posts and especially those who have helped to share them with the world. You are all worthy additions to Team 1p! Sugar in your coffee? Careful, it might just rot your teeth! Linzi Harvey is a current PhD candidate in Archaeology at the University of Sheffield. She is looking into the dental health of archaeological assemblages and how dental health might relate to overall health in a past population. LH: Currently I am writing up the results of my doctoral research, which has been an exploration into the relationship between dental health and overall or ‘systemic’ health in past populations. In the last few years there has been a lot of clinical literature published and public interest in how conditions like gum disease might influence other diseases in the body, such as heart disease. There appears to be a correlation between the two in modern populations, so my research was an attempt to see if that oral-systemic health link can be identified in past-populations. However, having only skeletons to work with makes finding that link quite difficult! AA: That sounds incredibly interesting – and it’s very neat to think about modern medical science having an influence on how we might approach understanding health in the past. But yes, how exactly do you go about studying the health of people (dental or otherwise) if you only have their skeletons? LH: The dental health is the easy bit – the teeth in a skeleton look pretty much the same as in a living person. Teeth are different to bone because they do not remodel after periods of disease or trauma, leaving a permanent and very visible record of these things. Even gum disease, which we can’t observe directly because skeletons lack soft tissue, can be assessed by looking at the condition of the underlying ‘alveolar’ bone of the jaw – the worse your gum disease, the more ragged-looking your bone will be. The general health is a bit harder to get at, but I assessed it by looking at ‘non-specific indicators of physiological stress’, which included things like bone infections and developmental disturbances. When viewed together, having these conditions might indicate your overall health was compromised. AA: Are you looking at any certain time period or group of people? LH: Although I’m primarily examining a Medieval assemblage, I’m not actually focusing on a particular time period. This is because I’m investigating a relationship and a method, so any past population would essentially serve the same purpose for me. Temporal differences in dental health can be interesting though – for example, the rates of tooth decay increased dramatically after the introduction of easily available sugar into Europe in the 17th century. AA: Oh, we’ll have to come back to that! But now, on to the all important question: what have you found out? LH: I am still analysing my results, so I can’t reveal too much in case my statistical testing proves me wrong – but it looks like identifying a general relationship between dental and overall health in skeletons might be a bit too ambitious using the parameters I selected. However, I did identify a relationship between periodontal (gum) disease and bone infection, which might point to an underlying susceptibility to these kinds of conditions in some people. I hope to have a better idea of what’s going on, soon. Side view of the upper dentition of one of the individuals from the All Saint’s Fishergate assemblage. Note how decay in the second to last molar tooth has led to a large abscess forming at the root of the tooth. AA: Okay, so it sounds like you’ve got some interesting results from your research! I won’t ask you to go into too much detail, but maybe we can check back once you’re finished with your results? It would be interesting to learn more! You mention differences in tooth decay over time. Since you’re looking at early remains, are most of the teeth you look at in good condition or would a dentist today be horrified if someone turned up for an appointment with Medieval-era teeth? LH: I’ve seen dentists look at ancient teeth and let me tell you, they generally look horrified! It’s primarily because ‘dental attrition’ or tooth wear was so much more extensive in the past – before modern food refining techniques, people tended to get a lot more grit in their diet, with foods generally being a lot tougher. This meant teeth wore down more severely than the present day. These days, soft and processed foods mean less wear, but conversely, more decay. You also have to bear in mind that the idea of restorative dentistry is fairly new – in the past, there was no option but extraction for a bad tooth, so missing teeth were the norm, which is less so the case now in most developed nations. AA: It’s intriguing to think that despite the level of dental care we now receive in some ways we are worse off (in terms of decay) because of our diet. Still, I do think I prefer the look of a mouth filled with pearly whites to a smile with gaps and extreme tooth wear – but maybe that’s just my modern bias! It has been great interviewing you Linzi and I look forward to hearing more about your research results in the future, but until then, can you let me know just one more thing? 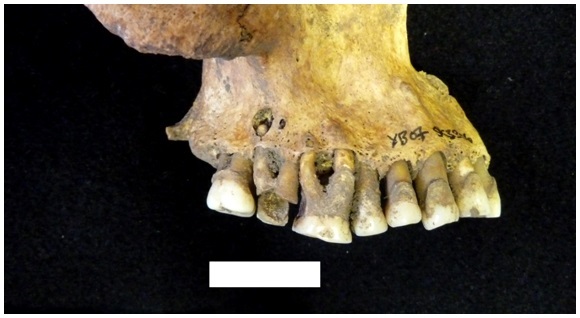 If it turns out there is a link (even a small one) between some aspect of dental health as an indicator of overall health in an archaeological population, do you think this will change the way we look at disease in the past – or maybe how we approach studying disease in the past? LH: I think the most interesting thing I’ve discovered whilst doing my research is that teeth, when studied in detail, can reveal huge amounts of information about an individual and the population they belonged to. I’ve found that teeth sometimes get a bit lost in reporting because there are lots of them and they are difficult to count quickly – but I hope that I can show with my work that we need to try and collect more data about them more often. AA: Again, it has been wonderful to have the opportunity to feature your work on Penny University, thank so much for taking the time to talk with me. LH: Thanks for having me! Linzi Harvey is a PhD candidate in the Department of Archaeology at the University of Sheffield in England. 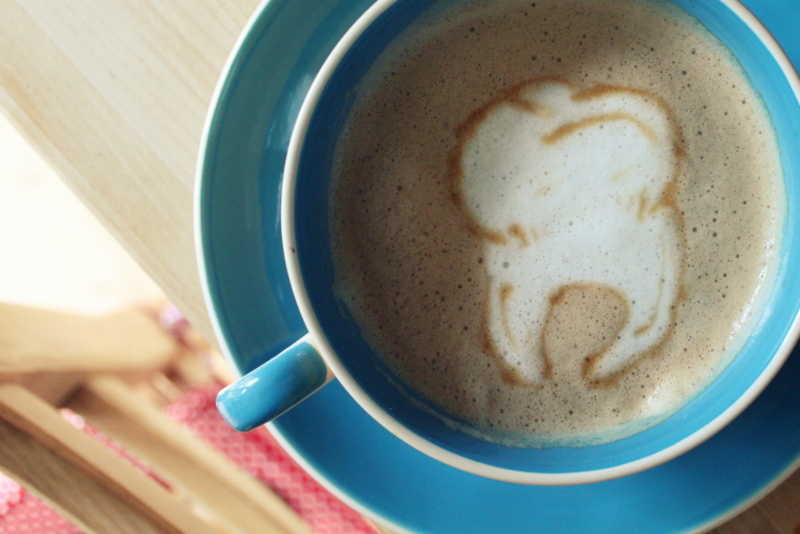 If you’re interested in learning more about Linzi and her research, you can visit her blog ‘Teething Problems’, which includes tooth based news from around the world and her experiences of undertaking a PhD. In case you missed our other exciting announcement during the launch week, be sure to read the post about Penny University LIVE! and don’t forget that if you, or someone you know, would like your research featured on Penny University all you need to do is get in touch.